Editor’s Note: This post is one of Convince & Convert’s Top 10 Posts of 2015. Simply too many brands use social media as a free advertising platform where they can sell, sell, sell. While the drive to push sales on whatever platform available is admirable, social media (as most of us have realized by now) plays by different rules. It’s not like broadcast television, where you buy spots on primetime, talk about your brand, and see sales walking in the door. Social media instead demands a symbiotic relationship between brands and their fans. You will only drive results from social media when your fans truly like you, identify with the values you project, and derive value from the content you publish. Here we shall discuss a few ways to move your business beyond “sales” mode into to true “relationship” mode. When you work on shaping a distinct brand identity to influence your audience via social media, you first need to know what they think about you now. You need to know how aware they are of your brand, its offerings, whether they perceive your brand positively or negatively, how your competitors fare in the same space, and so on. This allows you to make more informed decisions, as opposed to shots in the dark. A tool like Mention offers you the ability to listen in on conversations about your brand and its related keywords across the web. Using Mention, not only do you get to hear in real time what’s being said about you online, you even get to participate in these conversations directly. An interesting feature of Mention is that it allows the right people to engage with an audience in discussions that are taking place somewhere else. For example, a technical question on Quora can be answered directly from within the tool by your product manager, while a promotion-related query on Facebook can be tackled by your marketing manager simultaneously. Mention allows you to track and analyze your brand’s position over time, helping you judge the effectiveness of your social media efforts. Another powerful tool is Talkwalker, which corrals all online activity surrounding your brand in a single, searchable place. Choose your search terms (your company name, your industry niche, potential content topics, etc. ), and watch related posts appear alongside easy-to-understand engagement data. You can even sort results by engagement statistics or tweak your search terms to monitor your competitors’ activities. Talkwalker also provides handy “hashtag cloud” visualizations, which illustrate activity surrounding related hashtags. Whether the hashtag is an official part of your campaign or fan-generated, you’ll be able to track its use over time and any positive or negative sentiment attached to it. Posting content on a regular basis is critical to showing up on users’ cluttered social media feeds. A post or two a day may seem relatively easy to do, but will have pretty much no impact on your fans. The odds of your lone post showing up versus thousands of others put up by friends, family, and other brands fighting for your users’ attention are pitiably low. While Facebook is getting all the negative publicity for low (or no) exposure, the problem is especially compounded when it comes to Twitter. How many 140 character bursts do you need to get your followers to react? How do you manage to craft and publish multiple “interesting” or “engagement-inducing” tweets every single day? The best part is, when a user mentions your brand online in a tweet, you can thank every single one of them (automatically). As you can see in the screenshot above, Tweet Jukebox comes with a free built-in Jukebox with quotes that can be directly posted on Twitter at the click of a “Tweet it Now” button. They also have an interesting “Jukebox Store”—a little like the iTunes store—where they feature hundreds of Jukeboxes that users can download and use for free. The service even allows users to create their very own content, store them in Jukeboxes, and share them with the Tweet Jukebox community. Still short of content? 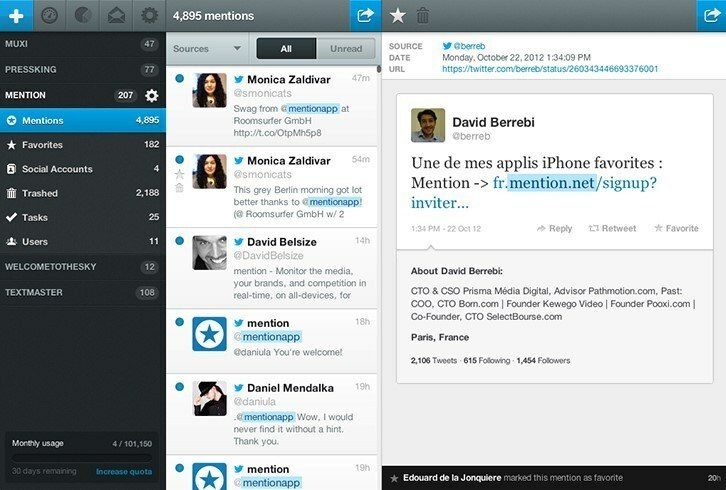 Tweet Jukebox also goes back to older tweets and reposts them with a fresh twist. So much for social media being a time hog. With the chore of posting and scheduling multiple times a day taken care of, you can now focus on the more important task of creating and curating great content that your users will love. If you find yourself overwhelmed by all the channels you monitor and fill in a single day, Sprout Social offers a solution. This social media management tool’s standout feature is its single, streamlined feed—a blessing for any manager who’s tired of juggling multiple tabs and menus. 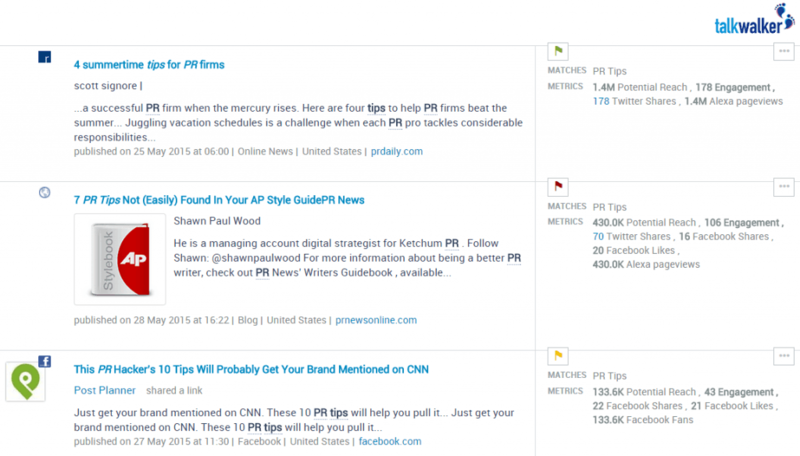 From your dashboard, you can auto-schedule posts across all major social platforms. Free social ROI reports help take the mystery out of how those posts performed. Talking up your brand on social media is good, but getting important people talking about it piques your audience’s interest and takes your brand visibility (and eventually acceptance) to a new level. Advertising professionals have known for decades what social media marketers are only just realizing: A celebrity endorsement is social media gold for your brand. HARO is one such tool that will help put your brand on the New York Times front page (It could happen!) without you spending a penny on any of it. HARO (or Help A Reporter Out) connects journalists in need of interesting new content with content experts who need a platform to publish their stuff. This synergetic equation means that you can offer interesting and novel content that features your brand to reporters looking for their latest scoop. HARO sends you alerts about journalists in need of “sources” or content experts in specific areas, and you can reach out to the ones that match your skill sets. The credibility of the journalist in question automatically lends credibility to your product and gives your brand an opportunity to be featured on respected platforms that it may not have been able to get on otherwise. Getting face to face or screen to screen with users in real time is an option that no marketing platform other than social media offers. Then why relegate the critical function of CRM to traditional channels like the phone or email? 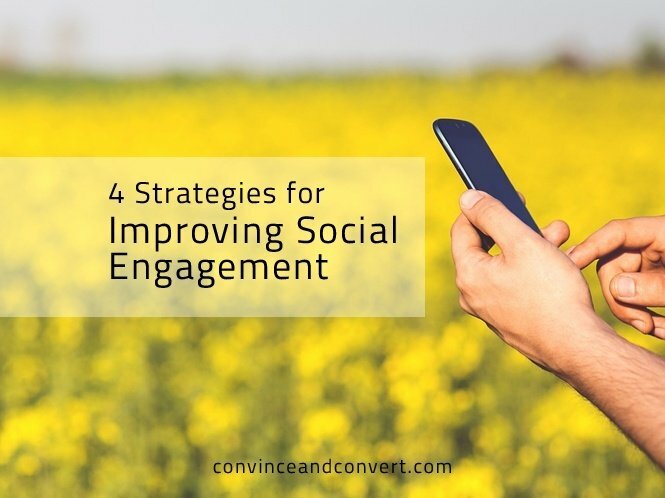 Companies that have invested in CRM via social media regularly reap the benefits of instant and engaging conversations with customers instead of plain old complaint resolutions. You should, too. 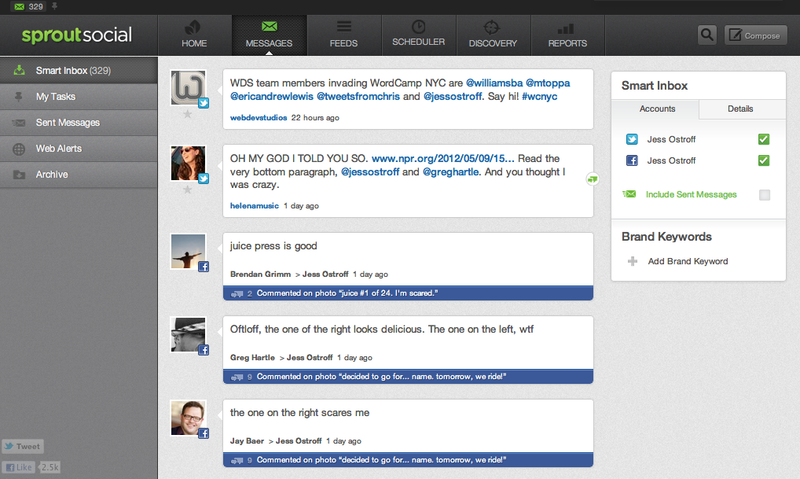 Nimble is a social CRM tool that allows you to offer customer care over social media platforms with ease. Nimble does a bunch of things exceedingly well. 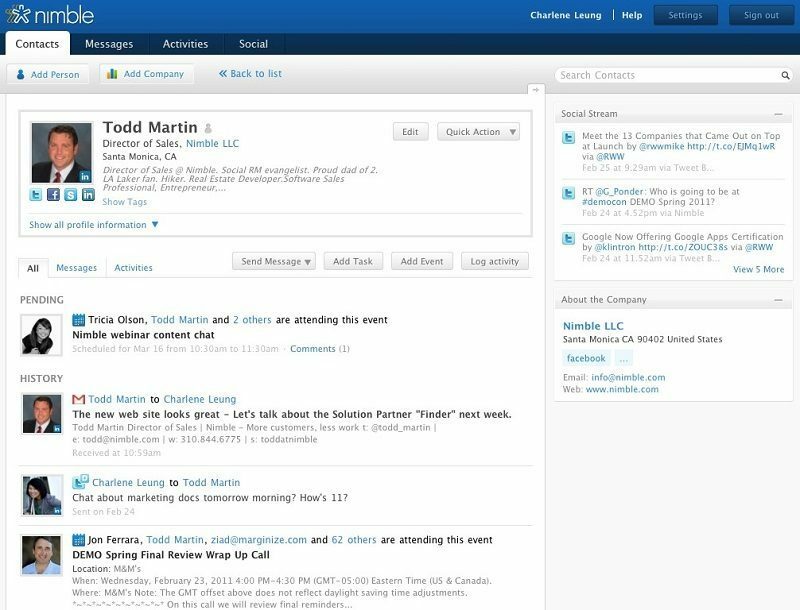 It builds detailed customer profiles by collating data from various sources: Outlook, Gmail, Facebook, LinkedIn, and more. It tracks step by step every interaction you’ve ever had with each user, thus offering a clear portrait of every customer. This rich customer data helps you respond to them in a more meaningful way, on the platform they are most comfortable with. Conversations across platforms all come to one location, creating a unified inbox from where you can respond to every customer input instantaneously. Every seasoned salesman knows that it’s not rock bottom prices but the strength of relationships that they build with clients that will see them through. Use social media as a tool to build relationships instead of hard selling to them with every post. Rohan Ayyar is a creative content strategist, digital analyst, and CRO specialist at E2M, digital marketing firm par excellence. He doubles up as the resident UX authority at Moveo Apps, a premium app dev agency. Rohan is also an avid writer, with articles featured on The Next Web, Fast Company, and Adweek.